We are manufacturer of abrasives media for more than 10 years experience. 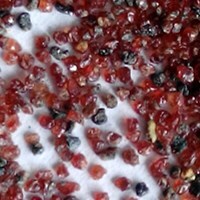 Except garnet, we also produce steel grit, steel shot & steel cut wire shot. If you are interested in our abrasives, welcome email us for more information. Delivery time: 3- 5 days for one 20ft container.